Long sleeve knit cashmere sweater in black. 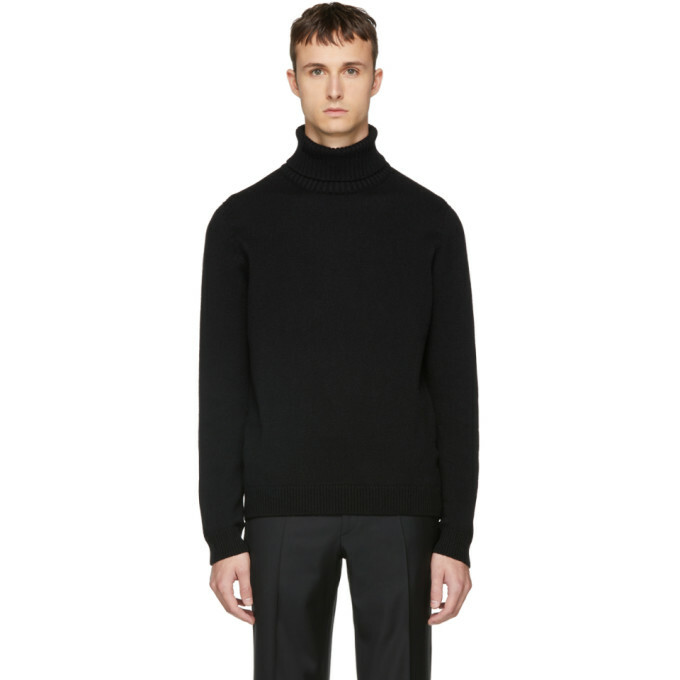 Rib knit turtleneck collar, cuffs, and hem. Tonal stitching. 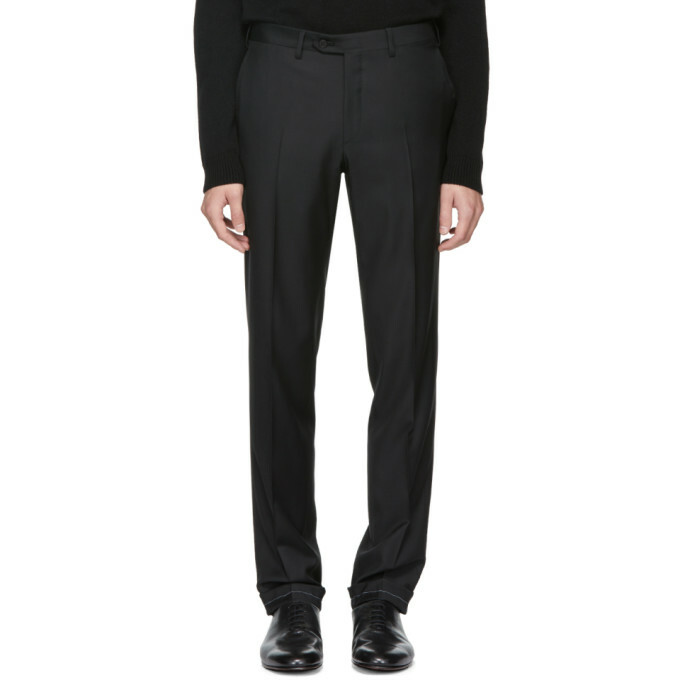 Slim-fit wool twill trousers in black. Mid-rise. Four-pocket styling. Topstitching in white at rolled cuffs. Zip-fly. Tonal stitching. 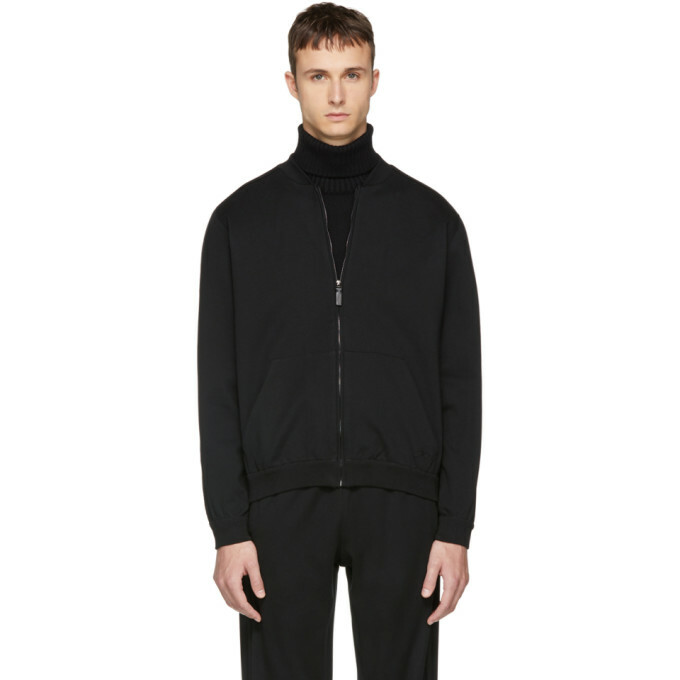 Long sleeve stretch knit cotton track jacket in black. Rib knit stand collar, cuffs, and hem. 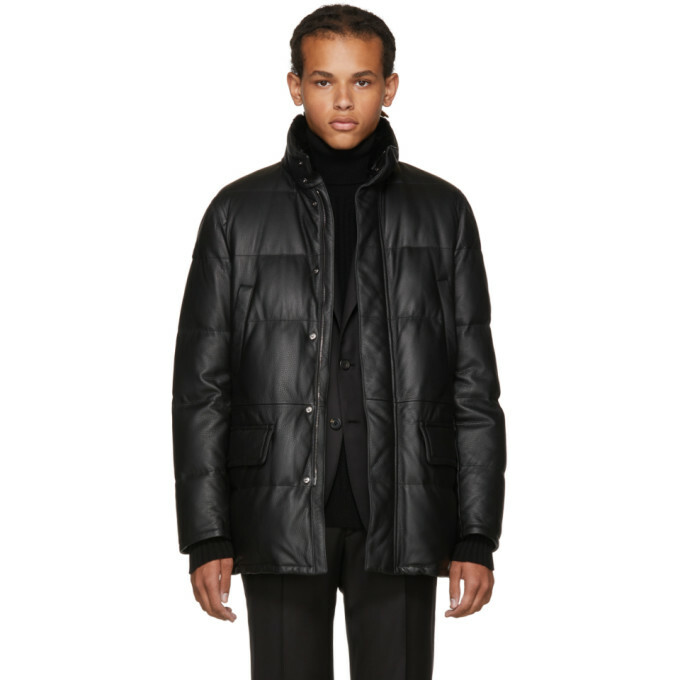 Zip closure featuring tonal lambskin pull-tab at front. Kangaroo pockets at waist. Tonal logo embroidered at hem. Gunmetal-tone hardware. Tonal stitching. 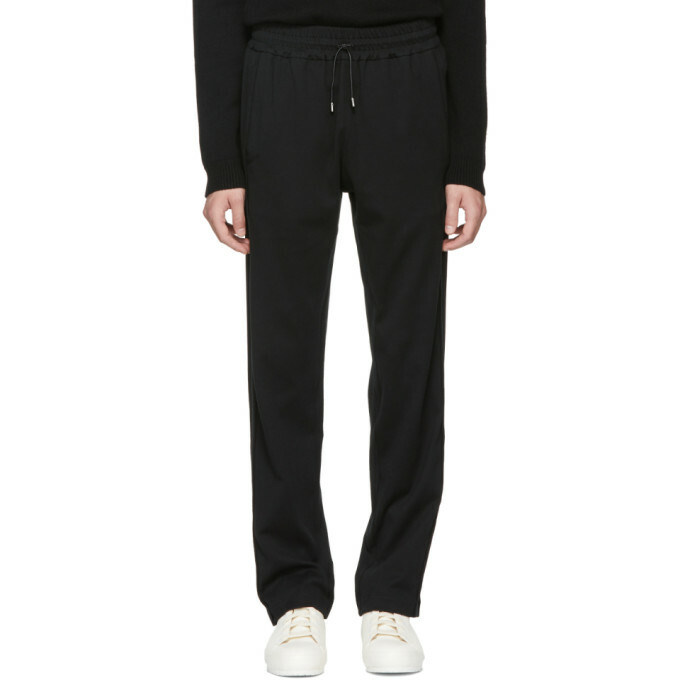 Slim-fit stretch knit cotton sweatpants in black. Mid-rise. 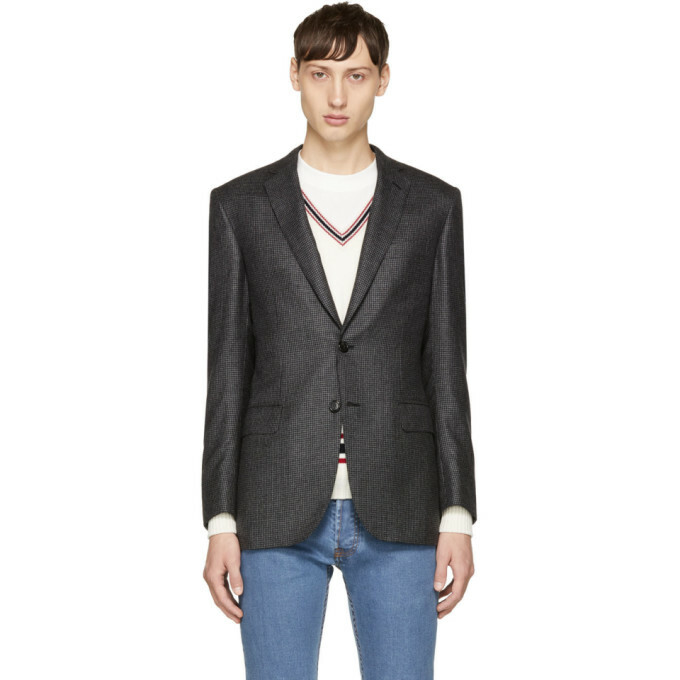 Three-pocket styling. Lambskin drawstring featuring logo-engraved hardware aglets at elasticized waistband. Tonal rib knit trim at outseams. Gunmetal-tone hardware. Tonal stitching. 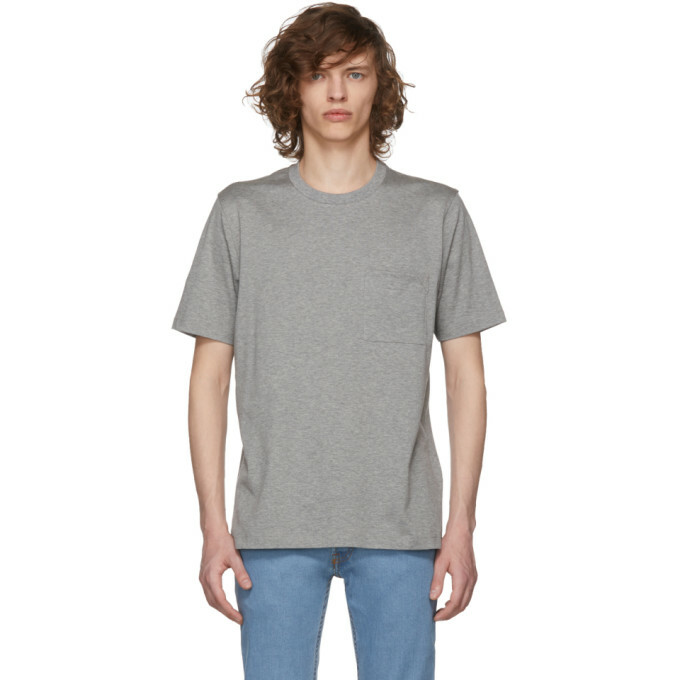 Short sleeve silk and cotton jersey-blend t-shirt in 'sky' blue. Crewneck collar. Tonal stitching. 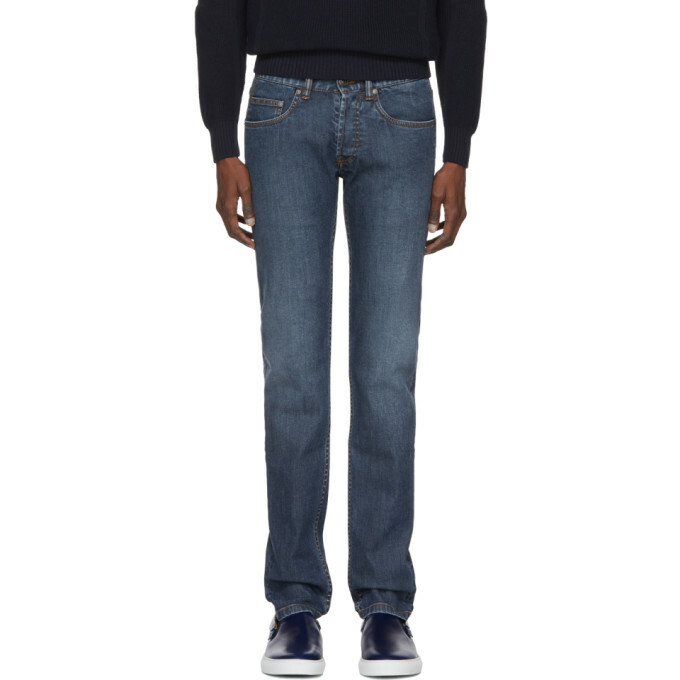 "Skinny-fit faded stretch denim jeans in dark blue. Mid-rise. Five-pocket styling. Tan leather logo patch at back waistband. Button-fly. Gunmetal-tone hardware. Contrast stitching in tan. Approx. 6.75"" leg opening." 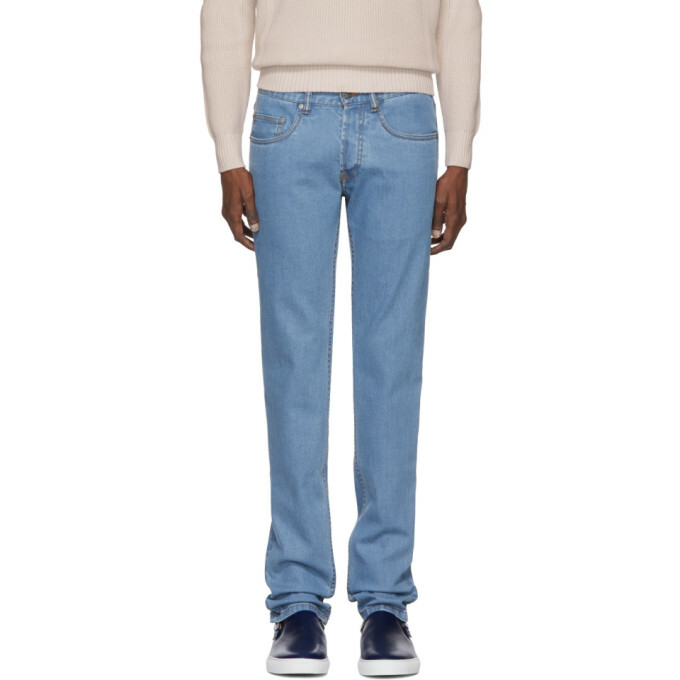 "Skinny-fit faded stretch denim jeans in light blue. Mid-rise. Five-pocket styling. Suede logo patch in tan at back waistband. Gunmetal-tone hardware. Button-fly. Contrast stitching in tan. Approx. 6.5"" leg opening." 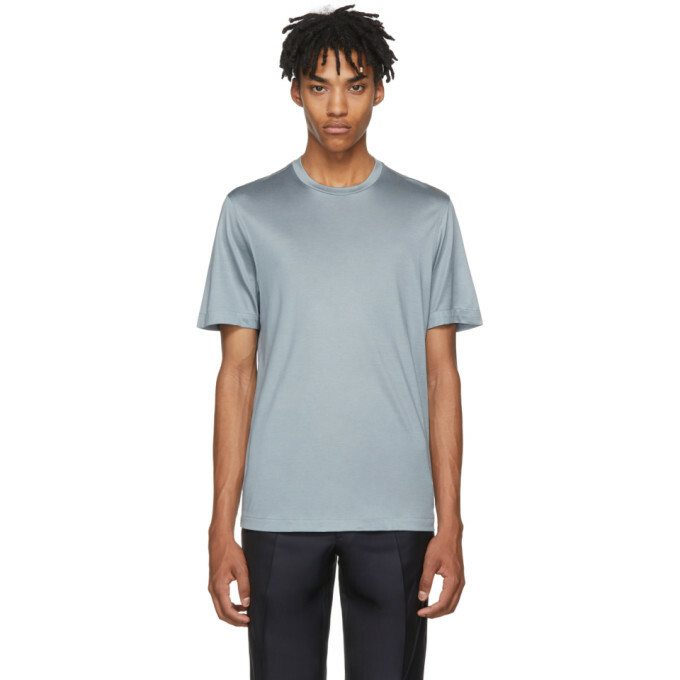 Short sleeve cotton jersey t-shirt in heather grey. Rib knit crewneck collar. Patch pocket with tonal embroidered logo at chest. Tonal stitching.